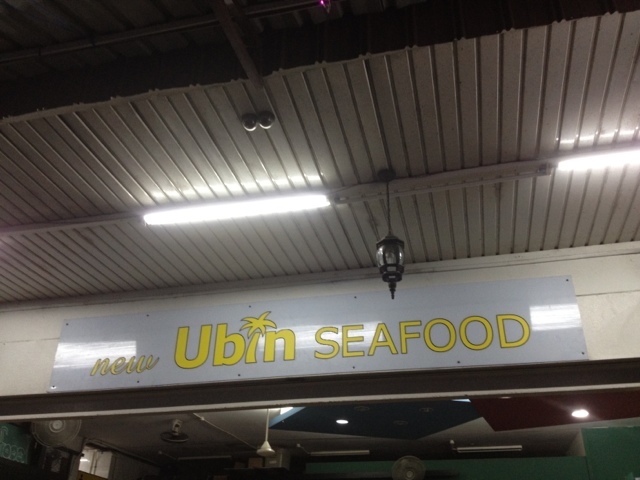 Been wanting to write about New Ubin Seafood for ages but was away in Taiwan, Malaysia, China and most importantly working hard in Singapore. But with such fantastic dishes there, this time with my brother's birthday, I made sure I ordered all our loves and here's the review about it! If you're sitting bus, there's bus 130. You can take it from AMK Ave 3 or Farrer Park or Bugis Station. Our first dish: My favorite! 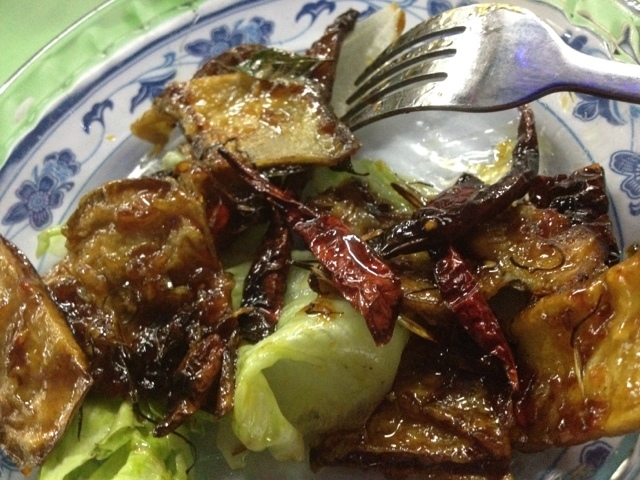 Crispy Brinjal (Eggplant). 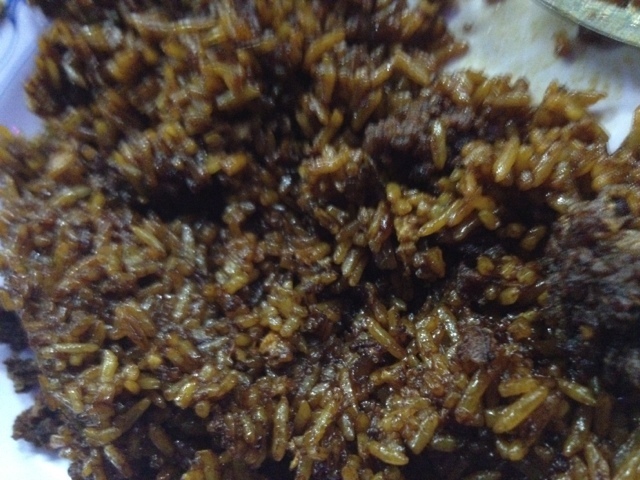 It is fried to crisp and has a tinge of sweet and sour taste to it! I might be able to eat plates and plates of it. It has a similar taste to the 拔丝 in China. 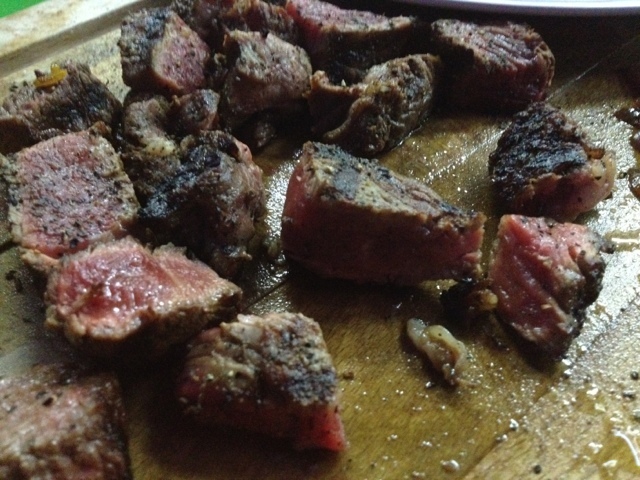 Our 2nd dish: Rib-Eye Steak. My parents and brother's meat lovers favorite! Choice US ribeye steak broiled and served with potato wedges and caramelised onions. Though I'm not fond of meat, I like how its juicy and easy to swallow. 3rd dish: Hokkien Prawn Mee. 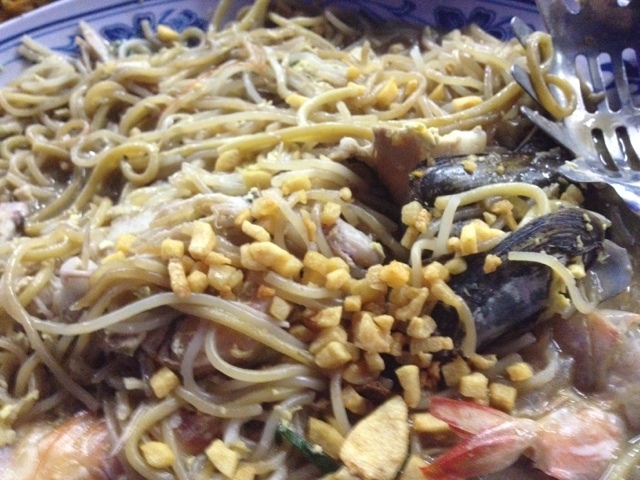 I love how its wet and the mix of the fried crispy thing and the noodles, and also the fresh seafood in it Fantastic! P.S: Heard they use seafood to stew their noodles in and that's what makes their noodle savory sweet! 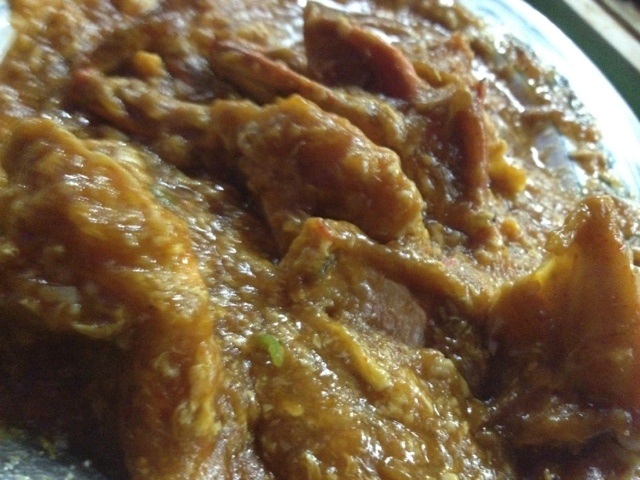 4th Dish. My eldest brother's favorite. He gobbled nearly one whole plate BY HIMSELF. I'm like the taste of the rice but I can't stand the fats in it. How they cook it is that after they cook the steak, the fats are removed and used to fry the rice. As my brother and many others who loves it remark: Sinful but shiok! Oh. 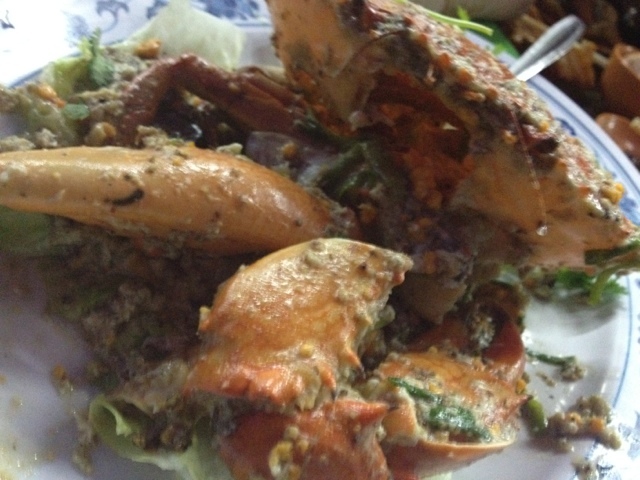 And of course how can our meal not have the crabs! Not just because of its taste! Its very good for value. 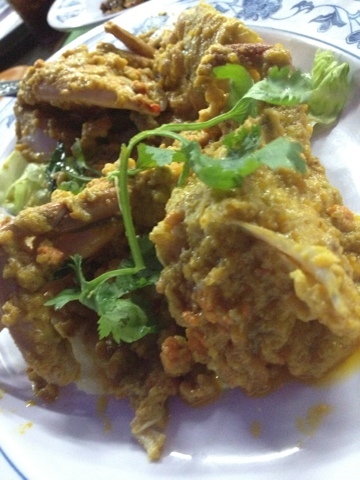 When you buy 2 crabs, you get 1 crab dish for FREE. Yes you see it right: FOC for the last dish of crab. Salted Egg: Likes the Malaysia one better. But its still not too bad. Just a little bland I find. Chili : I like it! Its not very spicy. More sweetness. White Pepper: Its okay for me. Not a fan of pepper. And I love it how the owner comes up to you and asks you how the food is. Personable. Give it another chance if you have a bad experience. Give it a try if you haven't. I like the food and hope you like it too.